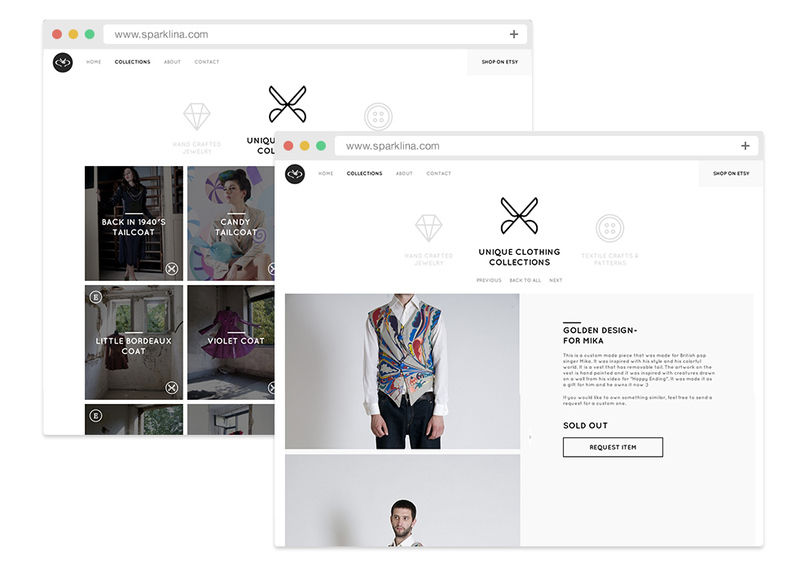 Sparklina is a pseudonym used by Mina Vesovic - super talented fashion and textile designer. She makes handcrafted clothes jewelry and all kinds of crafts and... she's awesome! One of those projects that you enjoy from start to the end. The main star of this project was easy to define. It was Sparklina's work, and we had a pile of really nice photos of her work made by Mina Sarenac (make sure you check her out). Those photos made our life a lot easier and we had a great starting point, which is unfortunately pretty rare these days. Basically our job was to make a minimalistic look of the site - focused on the photos of products, and make sure you have a nice time browsing trough her work on any device.